If you’re going to dredge a waterway on your island and split it in two, it makes sense to build a beach bar at the split, right? 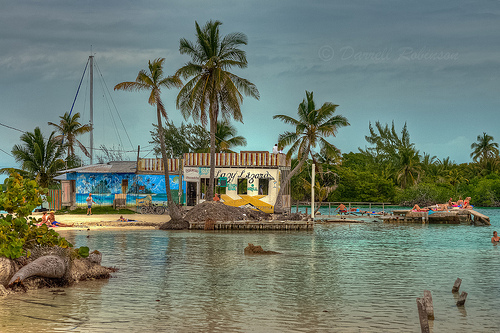 On Caye Caulker you would and that bar would be called The Lazy Lizard. Just keep it between the navigational buoys, my friends!